Recorded TV Manager is designed specifically for home networks that include one or more Windows Media Center machines which record and collect television programming for later viewing ("time shifting"). This software requires Windows 8 or above. See Release Notes for information about Windows 7. Especially useful for collections of Media Center recordings on Windows 8 or Windows 10 without Media Center. SmartMove Service - Powerful Expert System applies Collection Rules that you define. MetaData XML Database - Maintains a metadata database for all current recordings. 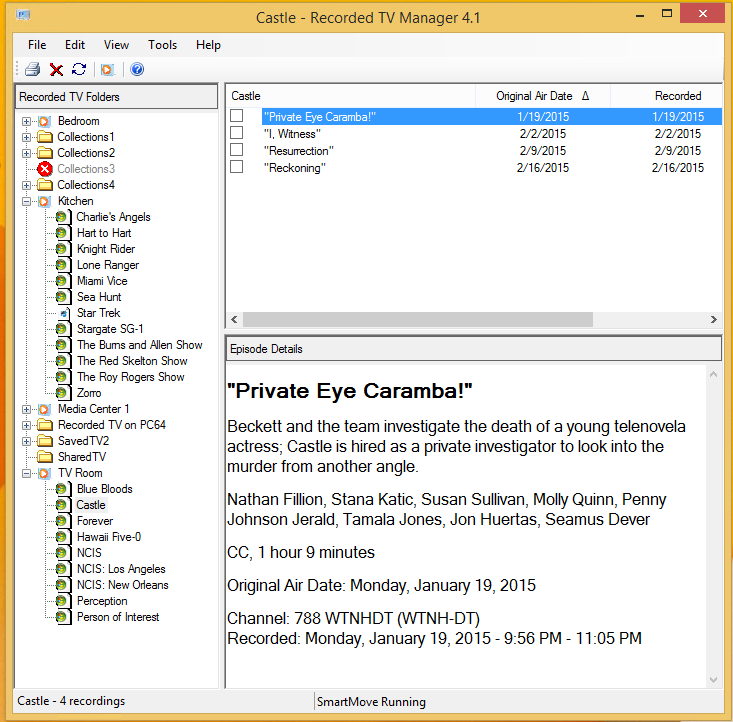 Folder List Editor - Maintains a list of all network folders which contain recorded TV files. Copyright © 2012,2015 Drasch Computer Software.